A few weeks ago, Shawn asked me to make chili for dinner. 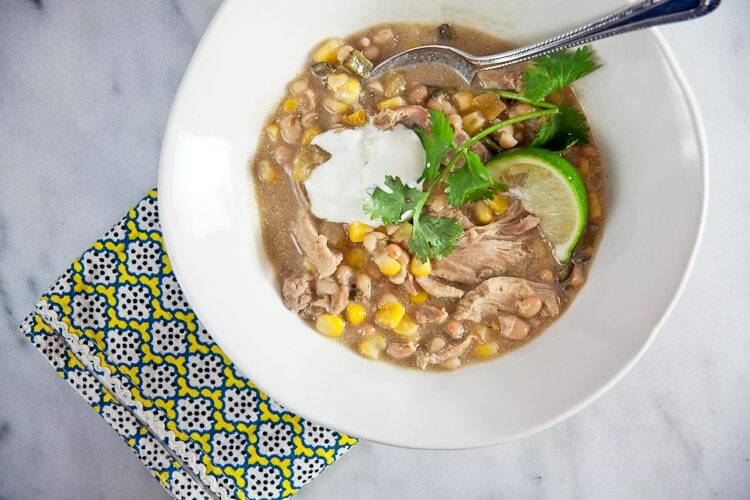 I wasn’t really feeling it – to me, chili is winter food and I’m just not ready – so we compromised and made this white chicken chili instead of our usual favorite beef chili. 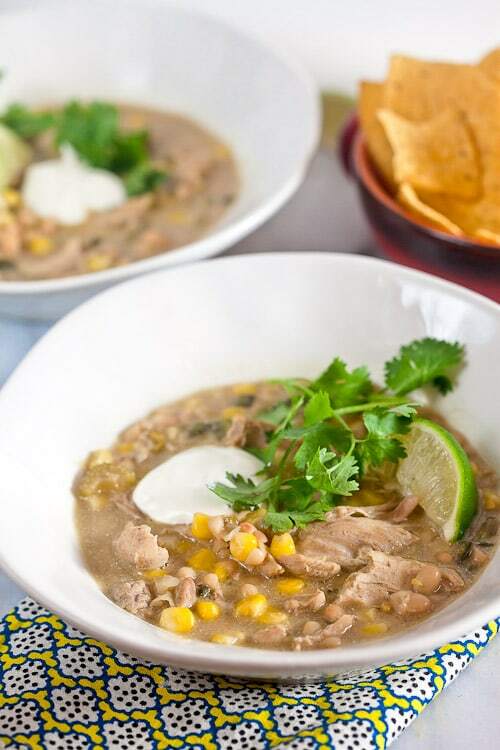 Made with chicken and white beans instead of beef and tomatoes, white chicken chili seems lighter, fresher, and perfect for a rainy fall night. I make mine with thighs and three kind of peppers (poblanos, jalapeños, and New Mexican green chile powder) to give my chili tons of flavor. It’s ready in just about an hour, but it’s even better the next day. Luckily, it makes a ton so you can enjoy it both ways. When you’re tired of eating it plain, it also makes awesome nachos: top tortilla chips with the chili (try not to add too much broth), shredded cheddar cheese, and pickled jalapeños and bake until the cheese melts; top with plenty of Tabasco sauce and serve piping hot. Heat the oil in large pot set over medium heat. Add the onion, celery and peppers; cook until soft – about 8 minutes. Add the garlic, flour and spices; cook 30 seconds. Add the chicken thighs, and cook until browned – about 5 minutes. Add the beans, broth and oregano. Bring to a simmer and cook 30 minutes. Remove the chicken from the pot and shred. Return the meat to the pot. Add the corn and cook 15 minutes. Stir in the sour cream and season to taste with salt. Serve with cilantro, sour cream, and lime wedges. This month’s theme is Tex-Mex, hosted by Milisa of Miss in the Kitchen. What a fun line up of recipes! I am a chili fan, so I am groovin’ with this version of white chili. YUM! That sounds yummy! I’ve never made chili with white beans. Mmmmm. Comfort food at its best. And just in time! It’s getting cold out! 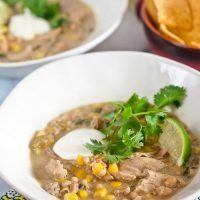 i LOVE chicken chili but have always struggled finding a favorite recipe. i will definitely give yours a whirl! it looks delicious! I would love this with chips and cheese!! Would have been perfect for dinner tonight. I would eat chili year round. Especially one like this. I love all your toppings too!!! Love that you used three different peppers in this chili. A perfect addition to our Tex-Mex meal. This sounds perfect for this dreary day, yum!! I enjoy making white chili sometimes, too, as a lighter alternative to our usual beans-beef-tomatoes version. Yours sounds perfectly delicious and a great addition to our Progressive Eats menu for this month! I had my first chicken chili last year, and I’m absolutely addicted now! It’s so good, and I love that you added so much flavor! I can’t believe it, but I’ve never made white chicken chili. It’s been on my bucket list forever. You may have just pushed me over the edge. I need this! I like quick cooking chilies like this one. Perfect for the fall weather and a great addition to the tex Mex Menu. I try to make chili different every time. I only have one white chili so far, this is going to be a great try. On my list! I’ve never heard of green chile powder, but it sounds amazing, and this chili is making me SO hungry! I swear I’ve seen like 5 chili recipes today alone! I’m more than in the mood for a bowl of this beautiful concoction (and it’s the perfect weather here). I had white chicken chili for the first time a few years ago and loved it! 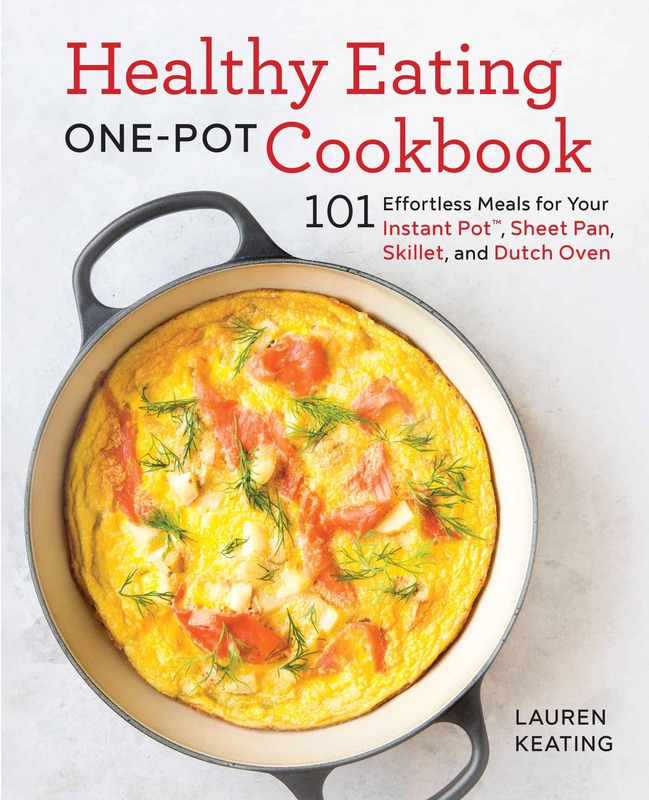 This is perfect for our Tex-Mex dinner! Oh, yeah! 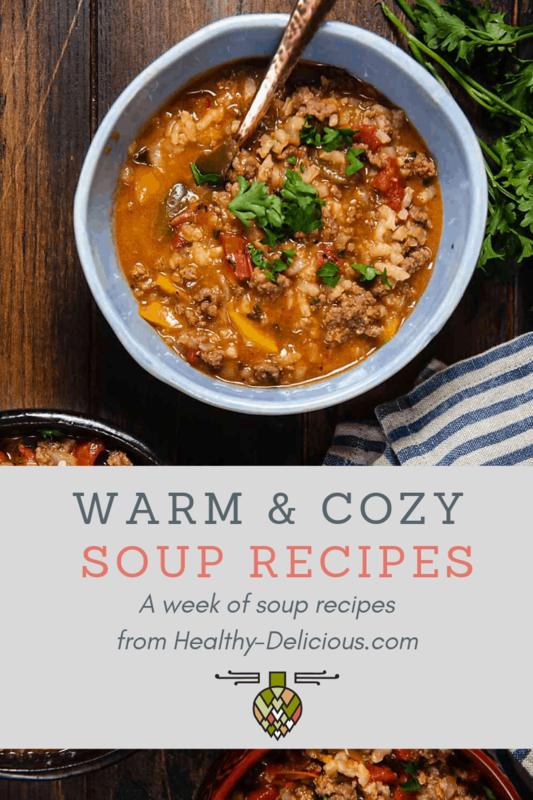 This is definitely a marvelous transitional soup…though I ‘d be happy to eat it all year round! I actually made white chili with chicken and white beans (which we love) once and that was because someone had given me a packet of spices for a white chili… and it really is a great and lighter alternative to beef chili. And now you have given me the recipe to make it from scratch! I looks delicious! This looks so comforting for this chilly day in my area! What a fun party! I’d sure enjoy a bowl of your chili! We’d definitely eat this chili!